General Contrator: GD Nielson Inc. Details: Pedstrian Bridge: Abutments, retaining walls and concrete paving. Details: RRM was specifically recommended to the project engineers to take on this unique and highly visible project. Details: Waterfront walkways, concrete stairs and a decorative star designed in the walkway using color stains. Details: Concrete steps and walls set into a hillside in the older part of Vallejo. 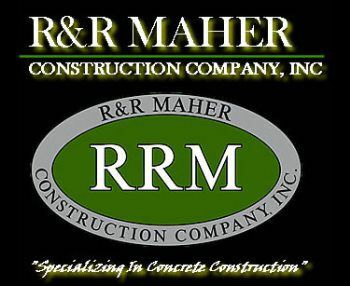 R & R MAHER specializes in ADA Ramps and Walkways, Decorative Concrete, Stamped Concrete and Much More! Description: R&R Maher had All the building concrete work, plus curbs and sidewalks, and drainage structures. Details: The owner and architect expected the best and RRM succeeded. This path is the "showcase" for all future walkways at the school. Details : R & R MAHER will handle all phases of concrete work on projects: Slabs, Walls, Sidewalks, Curb & Gutter - Call Us Today for More Info! General Contractor : KDA, Inc. Details : RRM performed complete building and site concrete package. Details : RRM installed the exterior concrete patio area and used a unique trowel finish at the owner’s request. Details : RRM installed the entrance to the wine cave along with hundreds of feet of retaining walls, a new 30,000 SF wine holding tank facility and a new administration. Details : Complete building foundation, slab and site concrete work. Details : RRM installed all building and site concrete for the project.